These days, the Oakland Raiders are a joke, but back in the early &apos;80s, the Los Angeles Raiders were anything but. A team of genuine badasses, they won Super Bowl XVIII in 1984 (embarrassing the Washington Redskins 38-9), and inspired the generation that revolutionized West Coast rap. 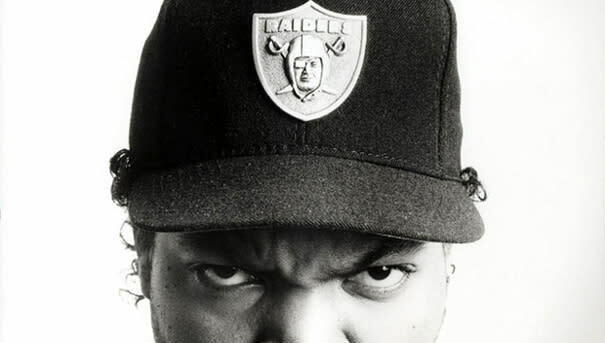 One member of that generation, rapper-turnt-actor-turnt-director-re-turnt rapper Ice Cube, debuted his latest movie on ESPN last night, a documentary in the network&apos;s "30 for 30" series on the Raiders in the City of Angels called Straight Outta L.A. We recently got with Cube to talk about his favorite members of the Silver and Black during their tenure in his hometown.